When you become a parent there is a long list of things that you don’t think about before your child arrives and laundry is one of them. Let’s start when they are babies, seriously how many clothes do they get through in one day, let alone a whole week. I remember with Alice, after every feed she was sick and that meant another change of clothes. One advantage of having a summer baby, was that she was just dressed in vests, as we were having a heatwave when Alice arrived. I know lucky me giving birth in a heatwave!! It doesn’t stop when they become toddlers, as they master the art of walking and falling over. When on a trip out always seems to happen in the puddle or in mud. As a parent you never leave home without a change of clothes. Then we enter the world of potty training and honestly this scared me when we started with Alice. The thought of the mess all over my house made me very anxious. Without even thinking about all the clothes that they go through and the extra washing. I think one of the worst times for laundry is when you go on holiday. Before you go, you obviously need to have all the clothes washed and ready to go, which takes a lot of work. But you don’t mind too much because of the excitement of going on holiday gets you through it. But when you come home, that’s a different story. As you unpack the luggage and the laundry pile gets bigger and bigger, the memories of holiday fade and the pile is still there. What if I could tell you, this could all disappear? 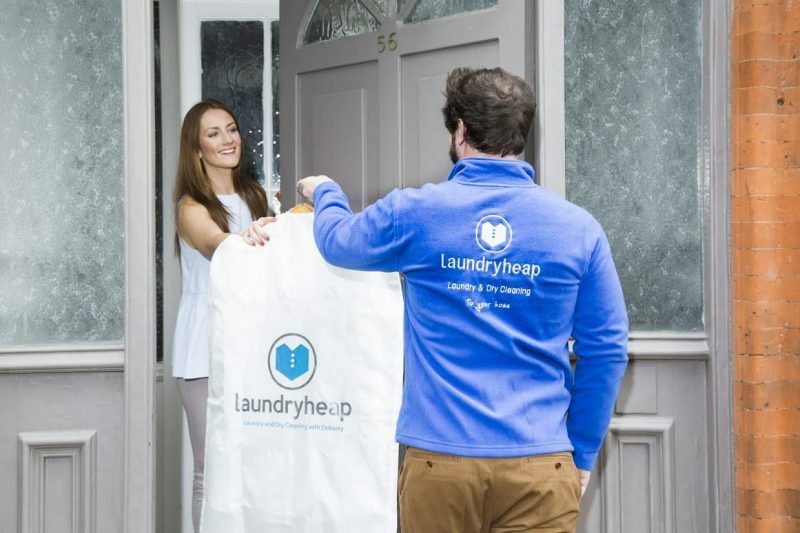 Introducing laundryheap, a service where they will collect your laundry on a day and time that suits you, including evenings and weekends. They will arrive with personalised bags to put all your clothes in, ask you a few questions about your preferences and away they go. They will wash your clothes as you’ve requested and if you’ve requested dry cleaning or ironing they will be conveniently hung in one of their custom bags. Or you can request to have it folded. Within just 24 hours your laundry is returned fresh and clean. Letting them do the hard work for you. They also have an app, making it even easier to arrange a collection. I love the sound of laundryheap, there are so many times in my life that this would have helped take the pressure of. 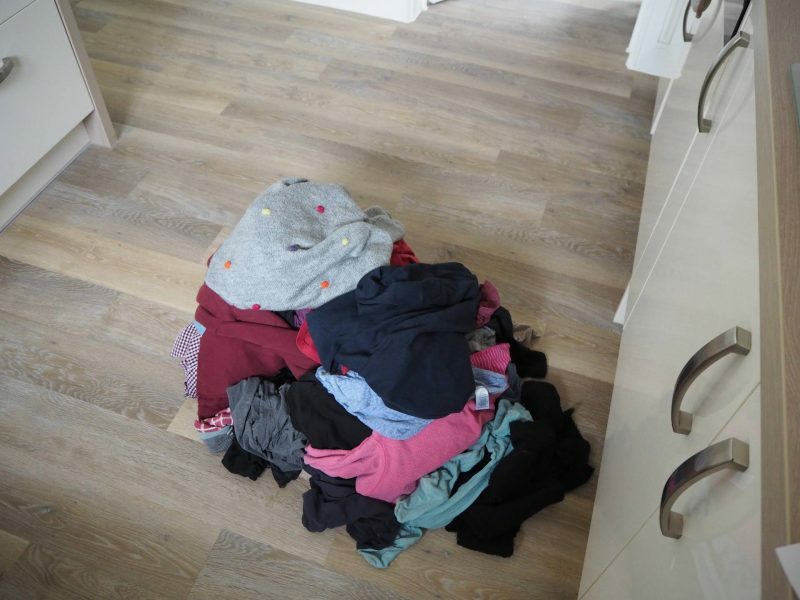 When I became a mum with both Alice and Holly, when I went back to work after Alice and had no time at all to do house jobs and even now with 2 young children, the thought of my clothes being washed and ironed for me sounds amazing. Disclosure: This is a sponsored post with laundryheap. Love the sound of that – it’s so hard to keep on top of all the washing and I’m not looking forward to adding to it once baby boy is here! Oh wow – yes please 🙂 The amount of time I spend doing laundry each week is too much! Oh goodness, I need something like this in my life! With three young children, the laundry is never ending! When my twins were born, I was washing everyday. It’s a bit less frequent now that they are toddlers. Oh my this sounds like heaven. I hate doing laundry, especially after being away on holidays as you’ve got the holiday washing plus normal washing and it always seems to take AGES to get done! This sounds amazing!!! Anyone that can make my laundry pile disappear is very welcome in my house will have to check this out. What a unique idea! My mum like her to do her own washing in our house but I know this is a service I’ll be using when I need to! With 6 children this would cost a fortune for us as the machine is nevver off but as a special treat i would def use it! Ohhhh, this is an amazing service. I would LOVE someone to take my boys’ million clothing garments off me to wash! This sounds AMAZING! Our laundry pile is neverending! This would be great when your going through difficult times. When I had my back operation I could have done with this!